to offer clients and partners ways to leverage the digital economy in a “post viral landscape”. With more brands moving into content marketing, CEO Michael Miller tells AdNews businesses were quick to jump the gun moving into this space. Now, he is now seeing brands turn back to publishers to help generate content. “A lot of brands jumped into become content creators but now we are seeing them partner with publishers, like News Corp, because it’s a challenging space to be in,” he says. Miller says Future Media Labs “future proofs” News Corp’s digital offering, allowing the company to play in more parts of the campaign chain with advertisers. 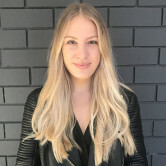 Unruly founder and CEO Sarah Wood tells AdNews that as the internet matures beyond funny cat videos, people are sharing less than ever before. “The sharing economy has become fragmented and advertisers now have to learn to mature beyond just a share,” she says. Speaking at the event held at News Corp’s office in Sydney, Wood explained the threat of adblocking has created a “flection point” that requires brands to be more "polite" with their advertising formats. "Non interruptive formats are absolutely critical to win the hearts and attention of consumers,” she says. Wood is passionate about evolving the digital economy to a place that creates a fairer ecosystem for all, therefore securing the future of the open web. News Corp has unveiled its Future Media Labs to empower brands and agencies work at the speed of the 24/7 news cycle and protect advertisers against adblocking. 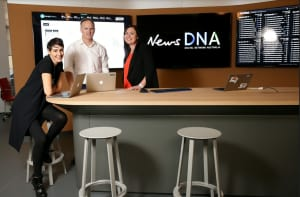 The Lab combines the forces of video ad tech firm Unruly, user-generated content service Storyful and newly formed News DNA to offer clients and partners ways to leverage the digital economy in a “post viral landscape”.